The procedure is done by using a hand tool with ultra-fine needles and each ‘hair’ is gently etched into the skin, giving an incredibly natural and realistic look. For nearly 20 years, licensed esthetician and certified microblading artist Michelle Schnabel’s career has been dedicated to helping people bring out their natural beauty. Most recently, Michelle has added the art of microblading to her offerings, allowing clients an easy way to simplify their beauty routines with elegant, natural-looking and low maintenance brows. 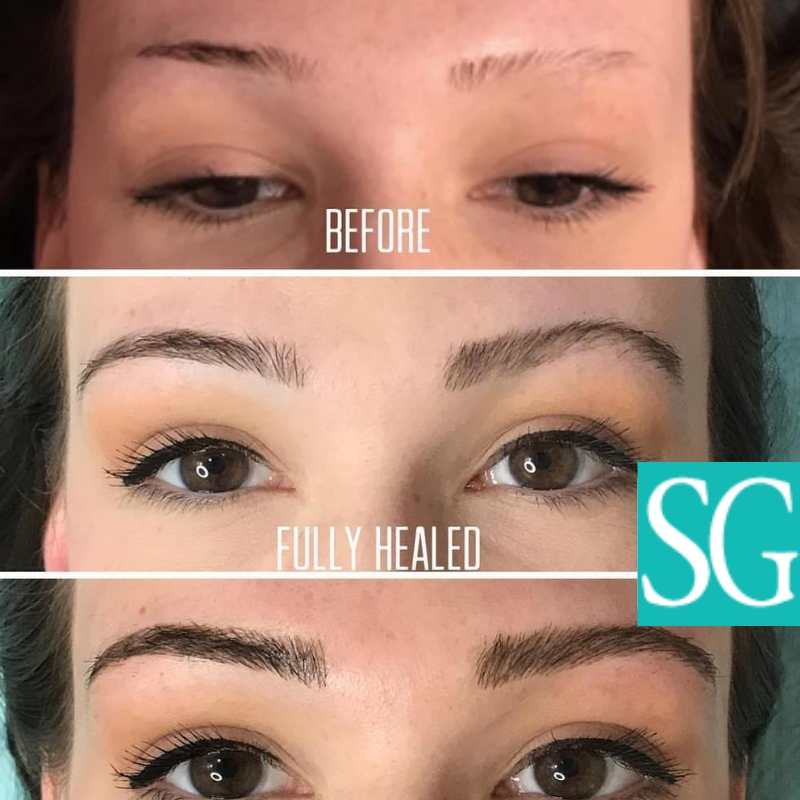 Microblading is a semi-permanent tattooing technique. Michelle crafts each hairstroke by hand, producing a thin, natural-looking line that seamlessly blends with existing brow hair. Clients reap the benefit of needing less makeup and enjoying a shortened beauty routine. Results typically last from 1-3 years. Michelle has been a valued member of the Spa Gregorie’s team since 2001. In addition to microblading, she provides her loyal client following a range of pampering facials, microdermabrasion and waxing services. Michelle graduated from the Career Academy of Beauty in 2000. In her spare time, she enjoys camping and enjoying the outdoors with her husband, Greg, and their dog, Lily. The client is to come in for a follow-up visit in order to have any minor necessary touch ups. The second Microblading session takes place after 4-6 weeks after the initial session. This session will take approximately 1.5-2 hours to complete.